During Great Lent, the Eparchy of Edmonton conducts its annual collection for “Aid to the Missionary Church in Canada.” The purpose of this collection is to support the needs of the Church in Canada. Three charitable institutions are the recipients of the collection: the Ukrainian Catholic Church in Alberta, Catholic Missions in Canada, and the Canadian Conference of Catholic Bishops. The Ukrainian Catholic Church in Alberta responds to the call of Christ to “make disciples of all nations, baptizing them in the name of the Father and of the Son and of the Holy Spirit, and teaching them to obey everything that I have commanded you” (Matthew 28: 19-20). The Eparchy of Edmonton supports local priests in their travel, health care, pension, and clergy substitution, thus ensuring that they can respond to the pastoral needs of the faithful, especially the celebration of the Divine Liturgy and funerals in rural Alberta. Visit www.edmontoneparchy.com to see how the Church is working for you. 2016 Financial Statements, as well as a copy of the annual T3010A Registered Charity Information Return (for parishes who issue income tax receipts). A photocopy of the Baptismal, Marriage and Death Registers entries for the year 2016. 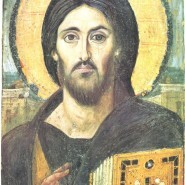 Holy Thursday and Institution of the Eucharist – Hierarchical Divine Liturgy with Bishop David and concelebrating clergy, consecration of Holy Chrism, and Rite of Washing of the Feet of the Disciples, followed by a dinner in honour of the gift of priesthood, will take place 11:00 am, Thursday, April 13 at Saint Josaphat Cathedral. All parishioners are welcome! Tickets for the dinner may be purchased through Saint Josaphat Cathedral (780 422-3181) or the Eparchial Pastoral Centre (780 424-5496). 2017 Presbyteral Council meetings (2:00–4:00 pm, Chancery Office) – March 6, May 8 (note special time – 3:30–5:30 pm followed by 7:00 pm “Moleben for Life” at Saint Josaphat Cathedral), October 30 (2:00-4:00 pm, Providence Renewal Centre). The Ukrainian Musical Society of Alberta will hold its first-ever Easter Concert, 7:00 pm, Sunday, May 7, at Saint Josaphat Cathedral. Plan to celebrate the Feast of the Resurrection of Our Lord through the age-old tradition of Easter Hymns sung by numerous parish and community choirs from Edmonton. Presbyteral Council meetings (2:00–4:00 pm, Chancery Office) – May 8 (note special time – 3:30–5:30 pm followed by 7:00 pm “Moleben for Life” at Saint Josaphat Cathedral), October 30 (Providence Renewal Centre). 2017 Clergy Conferences (10:00–4:00 pm) – May 9, November 3 (note special time – 10:00 am-1:00 pm, Providence Renewal Centre). World Communications Day this year will be celebrated on May 28. Attached for your information is Pope Francis’ message to mark the occasion on the theme, “Fear not, for I am with you” (Is 43:5). June 12-16, 2017, Sanctum Retreat Centre, Caroline; Retreat Master: Very Rev. 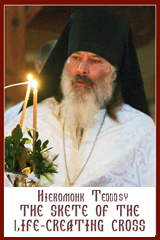 Dr. Andrij Onuferko, Spiritual Director – Holy Spirit Seminary, Ottawa; General Secretary – Vibrant Parish Program, Synod of Bishops; Sessional Lecturer – Metropolitan Andrey Sheptytsky Institute, Ottawa. Annual Clergy Study Days – October 30-November 2 (Providence Renewal Centre, Edmonton). The Official Opening of the Bishop David Motiuk Catholic Elementary School will take place 7:00 pm, Monday, October 2. Pastoral Greetings on the Occasion of the Feast of the Resurrection. The Ukrainian Catholic Bishops in Canada issued their annual Pastoral Greeting on the Ocassion of the Feast of the Resurrection. Bishop Douglas Crosby, President, Canadian Conference of Catholic Bishop, issued his annual Eater Message. Bishop Douglas Crosby, President, Canadian Conference of Catholic Bishops sent a letter to Prime Minister Justin Trudeau concerning the recent decision by the Government of Canada to provide $650 million toward “sexual and reproductive health and rights”. Here is the latest edition of the e-newsletter Encounter produced by the Office for Evangelization and Catechesis – Canadian Conference of Catholic Bishops. It is designed as a resource that promotes and celebrates work taking place in dioceses and eparchies in the area of evangelization and catechesis with children, youth and families. You are invited to share Encounter with parish and family coordinators of evangelization and catechesis in the hope that the ideas and activities within these pages will help them in their work. The Office for Evangelization and Catechesis – Canadian Conference of Catholic Bishops has compiled an Evangelization Resource List. The List provides highlights and links to documents from the Holy See, the CCCB, the regional episcopal assemblies, as well as to websites, authors, speakers and regional associations that focus on evangelization. The list will be posted on the CCCB website on the webpage of the Office for Evangelization and Catechesis and will be updated regularly. The Catholic Bishops of Canada, upon a proposal by the bishops of Alberta and the Northwest Territories, will consecrate Canada to the Mother of God on Saturday, July 1, or on the day following, marking the 150th anniversary of Confederation. Bishop David, on behalf of the Ukrainian Catholic faithful in Alberta, will do so on Sunday, June 25, on the occasion of the annual Saints Peter and Paul Parish Pilgrimage/Vidpust, Mundare. Other pastors are invited to do the same with their respective parish community on Sunday, July 2. A special prayer to be used for the consecration will be prepared, together with catechetical material on the meaning, history, and different kinds of consecration to the Mother of God. Catholic Organization of Life and Family (COLF) published its latest document “The Joy of Love” at the Heart of the Family: A brief journey through “Amoris Laetitia”. The booklet introduces readers to the immense beauty of God’s plan for family life as described by Pope Francis in his recent Apostolic Exhortation Amoris Laetitia. Copies may be ordered from colf.ca. Fascinated by a “true gem.” Apostolic Nuncio visits St. George Ukrainian Catholic Church, Edmonton. Christ is Our Teacher: Celebrating Catholic Education at the 7th Annual Bishop’s Gala. Inventory of Articles Published on the Eparchial Website – May 2016-March 2017. Since the establishment of our Eparchial Communications Department, some 36 artilces and submisisons have been published, each telling the story of the life of the Ukrainian Catholic Church in Alberta. More to come.